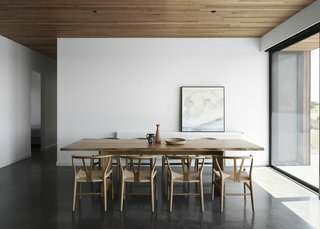 Nestled in the coastal Victoria region, this modern retreat caters to a three-generational family with members ranging from six months to 76 years old. 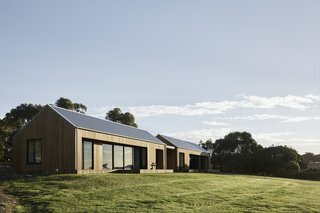 Melbourne–based studio Tom Robertson Architects has recently designed a contemporary weekend retreat for a multi-generational family. 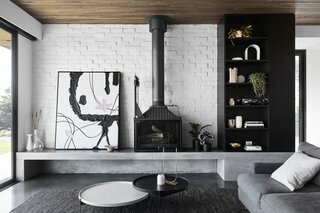 Seeking a place to escape from the city and reconnect with the country and coast, the family longed for a large space that would be functional, comfortable, and easy to maintain. Not only does the home deliver an abundance of privacy, it also provides access to a series of spectacular beaches close to the site. 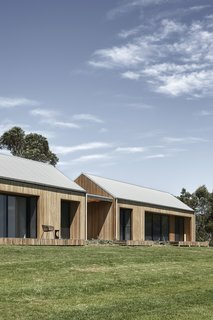 The 3,767-square-foot residence is comprised of two rural-style pavilions that are connected and clad in Blackbutt eucalyptus timber. 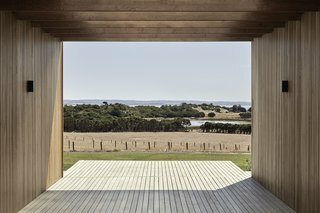 "The house is well oriented to absorb the sun and allows for striking views to the water beyond. 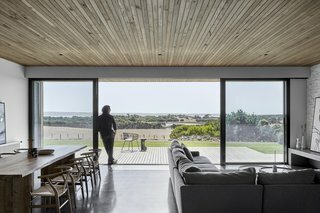 The configuration of the house allows for gentle separation of zones, and the home adapts to the different scales of its visitors. 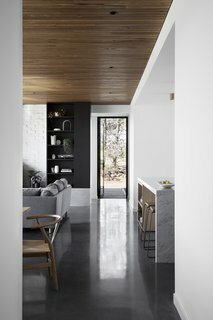 The interior palette is robust, yet calm," says Robertson. The two pavilions are fitted with large sliding glass doors, which open to two wooden decks. Here, views are oriented toward the peaceful natural landscape and sea beyond. Thanks to cleverly designed built-in storage systems, clutter is neatly concealed throughout. The kitchen features a lovely CDK stone backsplash. 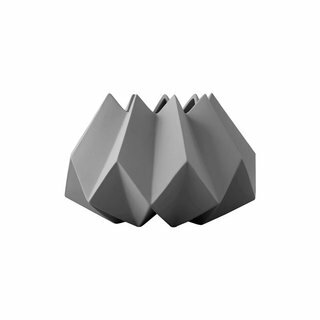 Danish audio company Vifa stands proud behind their Nordic aesthetics with each of their sound pieces. 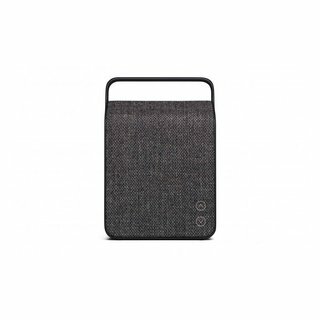 As one of their more compact designs, the Oslo Wireless Speaker sits upright but can be carried around for a portable experience. 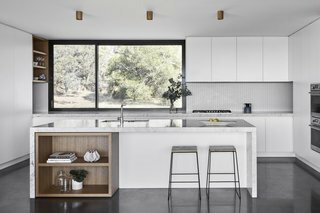 The house has floors of burnished concrete, providing thermal mass in the cooler months. 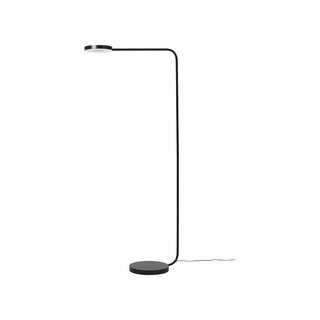 The cement retains heat from the sun during the day and then slowly releases it back into the atmosphere to warm the interiors in the evening. When opened, the sliding glass doors bring in plenty of fresh breezes, which circulates through the hallway and naturally cools the house. 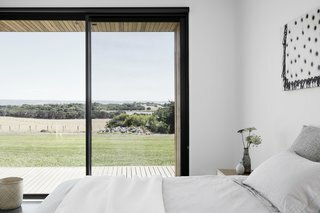 Each room frames a picturesque view of the rural landscape. A central breezeway brings the family together to enjoy the tranquil outdoor scenery.